For 2 5 years, I have been making contributions to my traditional IRA (Individual Retirement Account). I started my first IRA investment by saving $2000 limit annually. When I became self employed, I created a SEP IRA for my personal retirement plan, and was able to save up to 15% annually. All my contributions have been tax deductible, however, at retirement, the distributions will be taxable. Will tax rates be higher or lower 10, 20 years from now? What do you think? I think they will be higher. I don’t expect my income to be lower either since I am continuing to build an ongoing residual income from my businesses. Therefore, I am considering converting my traditional and SEP IRA (which are all “pre tax” contributions) to a Roth IRA. This will mean that I pay tax on all the dollars when I make this conversion from Traditional to Roth. There are several reasons I am considering this tax planning technique this year. In addition on January 1, 2010, the IRS removed the “Phase Out Limits” on converting to a Roth IRA. 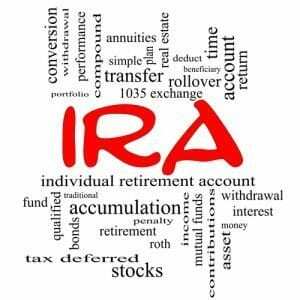 In another words, prior to 2010, there were income limitations that restricted many individuals from converting their regular IRA to a Roth IRA. Now all tax payers can convert regardless of their income level. Because of the economy this last few years, some individuals my be experiencing a lower adjusted gross income this year, or be unemployed or in transition. Investment values could be down which could be another reason to convert from Traditional to a Roth IRA. For 2010 only, the IRA is allowing tax payers to claim 50% of the conversion amount as income in 2011 and the balance in 2012. On Tuesday, May 25th, I will have returned from my two week Mediterranean cruise and will be interviewing, Ameriprise Financial Planner, Deborah Linscott, on RothIRA, Inherited IRAs and planning your legacy for the future generations. She is also an Elite Advisor with Ed Slott and one of the top IRA advisors in the country. You won’t want to miss Smart Women Talk on May 25th, so stay tuned!